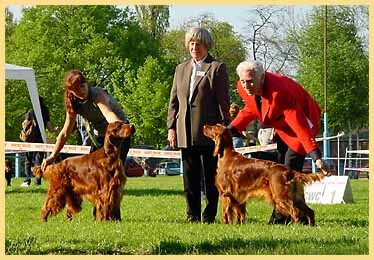 The Polish Club of Setters organised its club show'2002 on the 1st of May. The Polish Club invited 3 well known English judges having a great experience in breeding. 7 of the 10 "Club Winner" titles were obtained by them.